Think of the examples of people who, on the outside look healthy, but inside are sick and suffering. Patrick Swayze, James Fixx, Bob Harper and countless others - people living what most of us would consider healthy lifestyles, have suffered heart attacks, been plagued with cancer and died too young, regardless of what their bodies looked like or how they felt. What makes these stars different than someone like "The Godfather of Fitness", Jack LaLanne, who lived a happy, healthy life until the age of 97 years old? LaLanne understood how important his nervous system was as to a long, healthy lifestyle. Optimizing your body's nervous system with Chiropractic Lifestyle Care at the core of your healthy lifestyle so you can be fit and healthy rather than fit and sick, especially if you want to enjoy being fit over a lifetime. 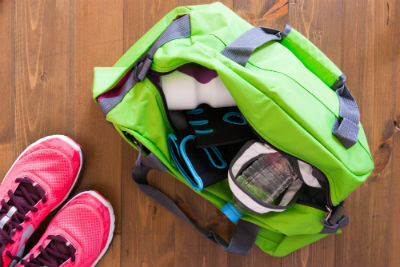 Wouldn't it be great to be able to leave the medicine chest out of your gym bag?